Light weight oil that is high in Vitamin A Rich, Oleic Acid and Linoleic Acid. Excellent texture that is great for all skin types. Recommended for skin that is dry, irritated or cracked. All Natural. Expeller Pressed. "my personal favourite body oil"
"My favorite go to oil." COMMENTS: Has no smell and glides like a dream. I t is a little heavy so not much is needed to complete the job. "Adds nice feel to lotions"
COMMENTS: I love the addition of this to my lotions as one of the many oils and butters I combine. COMMENTS: This oil is as it should be. Feels light and silky, absorbs quickly. COMMENTS: I used this in my lotion and it made it even more creamy than usual! Wonderful product. COMMENTS: Great quality and price. I like using this oil in a lot of my products. "Great for Lotion & Facial Soaps"
COMMENTS: This is one of my main oils I use for facial cp soaps & hand & body lotions. it feels as nice on the skin as using jojoba oil for a great price. "Excellent ingredient alone or blended"
COMMENTS: This oil really adds the boost that my products need. Thankful for WSP and their amazing hard work! "Great for light Face Cream"
COMMENTS: I love this oil in my face cream, absorbs beautifully. COMMENTS: I LOVE this oil! Low comedogenic rating and highly moisturizing. Love this in products or as a raw ingredient. COMMENTS: Very nice oil to add to soap and lotions!! Very moisturizing!! Love it! Will be buying more!! COMMENTS: This is one of my favorite oils to use in cold process soap as well as lotions. It is a good quality oil that doesn't leave a greasy residue. This is one that I always like to have on hand, and I prefer this brand over others I have tried. "Good addition to my cold process recipe"
COMMENTS: I like to use this in my body butters. It makes the skin so soft and just glide on without being greasy. COMMENTS: Easily absorbs into the skin, also a great substitute for sweet almond oil. COMMENTS: I am impress with this oil. Makes a wonderful lotion. Non-greasy very moisturizer and the skin absorb it beautifully. So far so good. I did order 16 oz. now I am ordering a gallon. Love it! COMMENTS: By far, this is my favorite oil to add to my bath bombs. Makes my skin feel nice and silky. COMMENTS: I have been using this in sugar scrubs and I like it. Its great for those who do not like nut oils. COMMENTS: This really helped my bath bombs leave a silky feel on my skin. Not heavy or greasy feeling at all! COMMENTS: I use this straight up on my face and in my hair. I have dry, curly hair, ans this never weighs it down. I would certainly consider adding this oil to pretty much anything, especially since it has no odor. Love it. COMMENTS: Great for my lotions, creams, and bath products. COMMENTS: Apricot Kernal is a nice addition to balms and butters. Love using this in these products! "Nice additive to my products "
COMMENTS: Love using WSP Apricot kernel oil in my products! COMMENTS: I use this light oil in my bath products. Great on the skin. COMMENTS: I add this oil to basically all my products. I've also heard apricot oil helps lighten dark spots. my customers love it. COMMENTS: I use this oil in my anti-aging face cream.. love it... works great..customers love it also.. COMMENTS: This is one of the best carrier oils I have used. It is great in body butters because it absorbs quickly into the skin and doesn't leave a greasy feeling. I love love love this oil! "Great oil for skin cream"
COMMENTS: I use apricot kernel oil in my skin creams. It is especially good for rough, cracked skin. I have been very happy with this oil and will continue to purchase it here. COMMENTS: This is a staple for us! Great base! COMMENTS: Love this product and the price! Makes skin feel so soft. COMMENTS: I use in my soaps with avocado oil....very creamy. Also use on my skin for moisturizing, soaks right in. "Used in my mens line"
COMMENTS: I love this oil. So lite and the price is so great! COMMENTS: This is a high quality oil. Love to use this is bath bombs. "Key ingredient for my products!" COMMENTS: This apricot kernel oil along with some others are my staple ingredients. They bring so much benefit to my products and especially to my body butters. I cannot do without this and other base oils. It makes the skin feel so soft and moisturized. Customers are always happy with the results and become return customers. COMMENTS: Love the benefits of this oil. Adding it to M&P but hoping to eventually try this in a massage oil. COMMENTS: Ne of my base oils in most of my products, great price and packaging. Love this oil. COMMENTS: I use the oil to infuse herbs, which in turn I add to my soaps, lotion, etc. Light and not harsh on the skin. COMMENTS: Very pleasant texture, taste and smell. Only tasted with the tip of my tongue (for those if you that woukd worry about that) it's important to be able to taste an oil you are using to determine that it is still viable to utilize. Food oils - not easential oils. Lovely, smooth oil with little to no odor just as it should be. COMMENTS: I use this in my bath fizzies and salts! COMMENTS: This is a very light oil that I love to use in Beard Oil. But it also works well in some of my cold process soap recipes. COMMENTS: This light oil works great in my bath fizzies! I love how soft my skin feels after using the products I make with it. COMMENTS: I use this in my bath bombs and it holds them together quite well. Also, after using the bath bomb it leaves your skin very moisturized, no need for extra lotion. It doesn't really have any smell to it. Will buy again. COMMENTS: I used this and a few other oils and made a quite nice massage oil. My husband said it was nice and relaxing. It was very easy to use and to blend with. COMMENTS: Used for bath bombs. Good so far. Only used a tiny amount and there was no smell or oily residue left over. COMMENTS: I love this oil, and I will be ordering a lot more. Everything I have used it in has turned out great. COMMENTS: I love the light feel of this oil. It soaks into the skin quickly and is a wonderful component of my lotion bars and lip balms. "Apricot Kernel Oil is Great!" COMMENTS: Love this oil in my body butter, it quickly absorbs into the skin! I have several customers with very dry, sensitive skin and they love my body butter made with this oil. • softens & moisturizes really dry skin! "Great for in CP soap"
COMMENTS: Very moisturizing. As I use a lot of coconut oil in my bars, I needed an oil to add moisturizing properties back in. High quality product, will definitely buy again! COMMENTS: I like using apricot kernel as it is cost effective, and I have not heard anyone complain about allergies. I am trying to remove the most offensive allergens from my line of products. Apricot provides a good slip, and I can add a little to my soap bases for extra moisture. I would categorize this as one of the lighter oils, and I can not detect a distinct fragrance. COMMENTS: Mixes in well...never had any problems. Very consistent product, and I'll definitely be ordering again. COMMENTS: Love using this light carrier oil in my body products. Very light and non-greasy. COMMENTS: Used for roll on perfumes and colognes, it's mixed with fragrances very well. It's very light on the skin and absorbs quickly. COMMENTS: i literally use this is everything. i love it. COMMENTS: WSP Apricot Kernel Oil is very high quality. I love to add a little to CP goat milk soap as a superfat. I also like it in lotions. Nice product. COMMENTS: I really love using apricot kernel oil in my bath products. This is very good quality. I will be back for more! COMMENTS: Another quality oil i use in my soaps. Makes lovely bars great for more mature skin. COMMENTS: ive never had a problem with any of wsp oils. Good quality. COMMENTS: Works good in hot process but I use it in my bath bombs. It is a light oil that moisturizes. COMMENTS: I was having problems with my bath bombs crumbling before I found this product. Just a little and your bombs will be rock solid! Fantastic product! COMMENTS: I've been looking for a great oil to use in my lotion bars that would absorb more readily/easily than sweet almond oil. Apricot kernel oil is the ticket. And as usual...Wholesale Supplies comes through with an excellent product. I'm looking forward to trying it in CP soap. COMMENTS: I Love this oil! It's my go to oil in many of my products I make. It's makes my bath bombs moisturizing without being greasy! It's also cost effective. COMMENTS: I use this in most of my soaps. Smooth and silky with no greasiness. "Love this oil! Good price too!" COMMENTS: I used it my facial serum. It is a good sale. COMMENTS: I love the versatility of this oil. COMMENTS: Love this light carrier oil, I use it in so many things. COMMENTS: Apricot kernel is one of my fave oils for skincare as it is silky and less greasy than many, with nice unsaponifiables for the skin. This AKO from WSP was super-fresh, and lasted well without getting an off-smell. COMMENTS: This oil is quite light and very flexible in use. I use it with soaps and lotions where the user is looking for products on tender skin. One use of the oil is a 50/50 mix with grape seed oil and infuse with calendula flowers to add more skin pampering benefits. Definitely a base oil in my selection of oils. "Great For Making Oil Infusions For Face Products"
COMMENTS: I have a great yard with wonderful herbs in it and I needed a good oil to make infusions for natural face and body products. This oil was WAY better than I expected it to be. No odors to battle with and not greasy, I am very pleased with it so far. I am coming back today to buy a larger quantity. COMMENTS: This oil seems to do everything that Sweet Almond Oil does but with no nuts. We have many customer sensitive to tree nuts and they are able to use our products with this oil. I don't know about those with severe allergies but our customers can use it with no issue. We personally like the oil for its lightness and its superiority as a carrier oil. COMMENTS: Excellent light oil for bath bombs, fizzies, and salts! COMMENTS: I will buy a bigger size, next time. This is good stuff! Moisturizes like no other oil, and doesn't leave a greasy feel. COMMENTS: Just started using this in my bath fizzies; can't wait to incorporate the oil into my other products. COMMENTS: I use this in my body scrubs and love, love, love it!!! COMMENTS: Our customers love this oil in or bath bombs. We use it @ home too. Helps with all the dry spots. COMMENTS: I use this in a facial oil and love it. Many benefits for those with tired aging skin. This one is a winner! COMMENTS: I have VERY dry skin and this works very well for me. It sinks in quickly, but has left my skin soft for hours after application. Will absolutely be buying it again in bigger quantify! COMMENTS: We love using this light, non greasy oil in our lotions....A five star product! COMMENTS: I use this in cp soap. Good quality and good price. COMMENTS: such a great oil, customers ask for items w/ this oil and now we can provide them helps our products feel better and work better on customers skin Products w/ this oil sell better and faster read anywhere all the great benefits and you'll find you need it in your line up also I used to much in some of my soap recipes but they came out just fine and sold quickly - takes just a little bit to go a long way. Lotions and butters and balms all feel smoother and sooth irritated lips/skin faster and longer. Already need to order more soon - next time a larger container of it. "Great oil - light feel"
COMMENTS: I love this oil, especially for leave-on products. It has a light feel, but leaves your skin silky smooth. COMMENTS: I was worried the apricot kernel oil would make the bath water too slippery, but it was perfect in my bath fizzies. It moisturized without making the bath dangerous! Will definitely order more. COMMENTS: This is the luxury oil i use for my soaps. Love the feel. And some ppl are allergic to almond, so i don't use the almond oil. So i use this instead. Great oil from this company. Great job WWS! COMMENTS: I love your products. "Wish I could have this in everything I make!" COMMENTS: I can not make my products without this oil! Super sift components to all of my products! COMMENTS: I use this in my body butters, and it is wonderful. It moisturizes, absorbs quickly, and leaves your skin feeling soft and smooth. Great oil and a great price. COMMENTS: Wonderful to work with and good price! COMMENTS: I love this oil for its moisturizing properties. "great pil for the price"
COMMENTS: Used this oil in a mixture for my face/beard oil. It works well, does not leave fave feeling greasy. COMMENTS: Nice oil and easy to soap with. Will purchase again. COMMENTS: I have been shopping around for a less costly apricot oil and I have found it. Great quality and great price. My lotion bars turn out perfectly! COMMENTS: Nice, light oil without any scent. I can use this oil in all my recipes that need Almond oil, or other nut oils so that those I dont have to worry about those with nut allergies. Blends nicely and alows fragrances and essential oils to shine through. COMMENTS: I use this in all recipes calling for Almond Oil, due to a personal allergy to almonds. It has similar benefits and behaves the same way, so it makes a wonderful oil in my recipes. COMMENTS: I use this apricot kernel oil in most of my recipes. There is virtually no scent, meaning my essential and fragrance oil blends aren't compromised by a strong base scent. It's nourishing to the skin and is great for just about any product needing oil! "Great oil for skin care products"
COMMENTS: Love to use this oil in my face & body oil. It's an excellent carrier oil & reasonably priced. 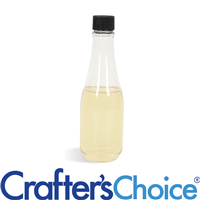 COMMENTS: Great quality and extremely affordable to use for a base oil for multiple products. COMMENTS: I love to know that I'm buying oils that are fresh and haven't been sitting in a warehouse getting old. COMMENTS: Has a very light scent OOB that doesn't compete with other fragrances in massage oils. Also a lovely compliment to other skin nourishing oils in CP recipes. "Love this Apricot Kernal Oil!" COMMENTS: I love to add this oil to many of my recipes because of it's beneficial skin loving properties. It also makes a wonderful carrier oil for diluting Essential Oils for aromatherapy and massage oils! COMMENTS: I use this oil to make an herbal infused massage oil. Customers love it. The mix I use soaks into your skin and leaves it feeling soft and smooth. I will continue to use this in my blends. COMMENTS: I like to use this oil for the added benefits it provides in lotions and face soaps. COMMENTS: Love using this along with other oils for our beard oil recipe. Customers love it! COMMENTS: I love to use this oil in my formulas. COMMENTS: This stuff is phenomenal!!! Love what is does to your skin. I will never be without this. Also....WSP's price on this is GREAT!!! COMMENTS: My favorite oil of all time for lotionmaking - moisturizing, but not greasy at all. This is a super light oil, so I typically use it with another heavy oil with a large ratio of this. I am a repeated buyer of Apricot oil from WSP; Price is the best in the market. COMMENTS: One of my favorite oils, I keep it in inventory. COMMENTS: Great light oil!! I use this in a lot of products!! COMMENTS: This is the best apricot kernel oil I've used. I've already reordered! COMMENTS: This works great in my soaps and scrubs and has become my new favorite oil. Only thing I would like to change would be the bottle it comes in. It's hard to get every last bit of it. COMMENTS: A rich, soothing oil for delicate or aged skin. COMMENTS: This is a must have staple in my beauty routine. I use apricot kernel oil in my shampoo for extra shine . I also use it blended with coconut oil for a super soft shave without any need to moisturize after showering. I use it for a lot of different lotions I make for gifts and it doesn't have a strong scent like some of the other oils I have used in the past. Actually I have a pump dispenser on my counter blended with liquid Shea Butter and essential oils , it's my go to winter dry skin remedy!! Love this stuff! COMMENTS: Not only is this oil perfect for soap making, but it also makes an EXCELLENT oil for massage. I mixed this oil with WSP flavor oils and it is the PERFECT massage oil. I will buy this oil and always keep it on hand. COMMENTS: Great oil to add to skin care line products. 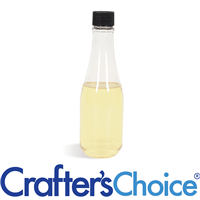 "Great oil for bath fizzy"
COMMENTS: I wanted to try this for bath fizzy, and is is a great oil. Makes your skin soft after bath. Will purchase it again. COMMENTS: This is the best source I have found so far for AK oil. It is the lowest price for 7lb including shipping on comparable sites. Good quality product and works well in all my recipes. COMMENTS: Beat oil to add to your soaps. "A new oil for me"
COMMENTS: I am very pleased with this oil so far. It is very light and absorbs well without being greasy. I used it in cuticle oil and it is such a great moisturizer in this product. I can't wait to use in other products. COMMENTS: This is my first time using apricot kernel oil, and I must say I am really impressed with this oil. The skin benefits and research I've done regarding this oil are pretty impressive and the price is fantastic! Ordering from WSP is almost half of what my local natural foods store sells the same oil for. Absorbs quickly, pretty light, no funky odor and low price. I have used this in massage oil and sugar scrubs and plan to use it in many other products. COMMENTS: This is one of the best oils for the skin. Feels so good on the skin and soaks in nicely. I've read a lot about Apricot Kernel Oil and I'm impressed with it. I've had it a while and it does not go rancid quickly. Has a very long shelf life. COMMENTS: Exceptional skin feel and moisturizing properties for dry skin. Great quality. I always keep this on hand. COMMENTS: Good quality of oil. Will reorder. COMMENTS: I have been using this for my beard oil and my customers love it! "my new favorite facial moisturizer"
COMMENTS: Great addition to body oils ... absorbs fast and isn't overly greasy. COMMENTS: This apricot oil is a great addition to my facial moisturizers. Nice light consistency and a good value. COMMENTS: LOVE using this oil for lotion bars, this is seriously my splurge item, but definitely worth it in my opinion. wouldn't imagine making a bar without this oil because it gets deep down into your pores and helps out dry skin issues. COMMENTS: This is a nice alternative to coconut and soy oil. It worked very well in my bath melts. COMMENTS: I use this oil in my "luxury" line of soaps, it is a great additive. COMMENTS: This is a new favorite oil of mine. Will def purchase again. COMMENTS: I used this in my cold process soap and it turned out great. COMMENTS: I love the silky smooth feel of the Apricot Kernal oil. It absorbs very well into the skin too. My customers like the feel very much. COMMENTS: I love this oil can't make soap or lotion without it. In fact I use it in all the products I make, because it is light and also moisturizing. COMMENTS: I use Apricot Kernel Oil in combination with other oils my lotions to give it a lighter, less oily feel. My customers love it!